A movement that encourages students to develop a love of learning and sharpen their 21st Century Skills through being creative and exploring their interests. Click here to read more about the origin of Genius Hour and the concept behind making it part of your classroom. ​Another good place for inspiration is the website made by Paul Solarz. Click here to see some of his fifth-grade students' Passion Projects. P.S. Everything on this guy's site is AWESOME, so carve out some time for exploring. He's also written a book about student-led classrooms (click on the image right for more information). Click here to read student blog comments during the Genius Hour process. 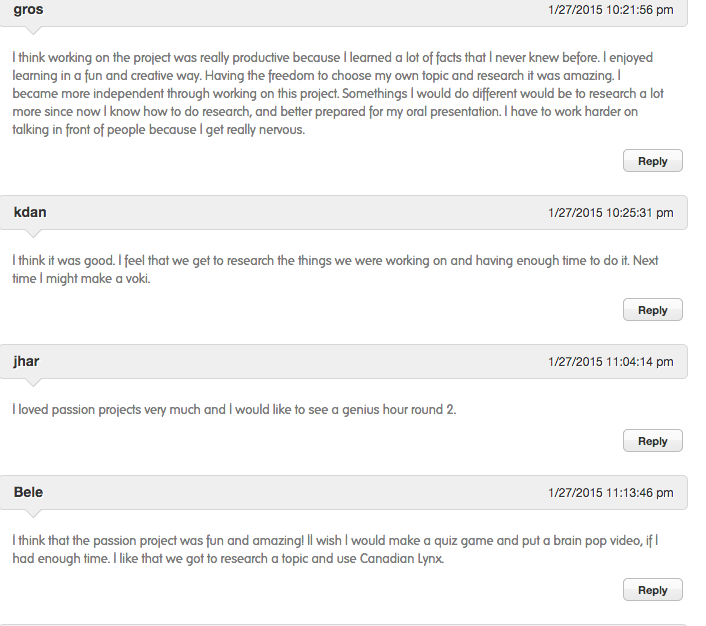 Click here to read their blog comments after finishing their Passion Projects. For an example of project-based learning in a fourth-grade classroom (this is not a Genius Hour project), check out the Zombie Outbreak Regions Project.